A sumptuous orange 3 carat Citrine surrounded by a halo of sparkling Round Brilliant cut diamonds make up this beautiful cluster ring. 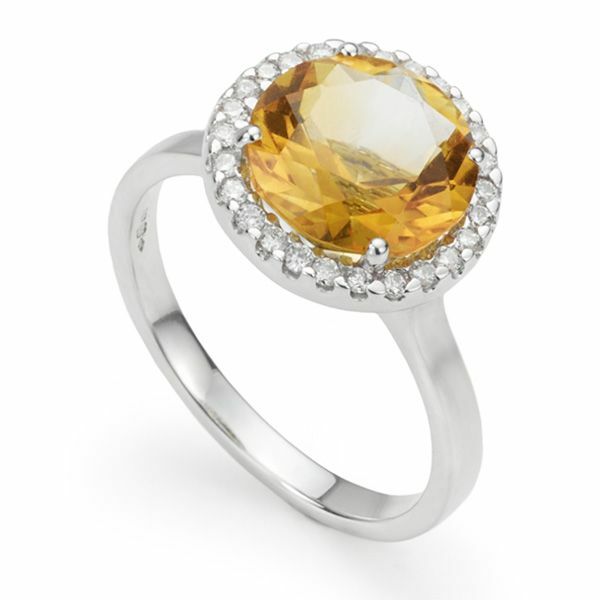 This remarkable halo ring design features a 9mm wide marmalade coloured Citrine, surrounded by precision cut, white Diamonds. The 3 carat Citrine lies at the heart of a halo setting that measures 11.5mm across the finger, sitting 7mm high, above a graceful 2mm wide band. 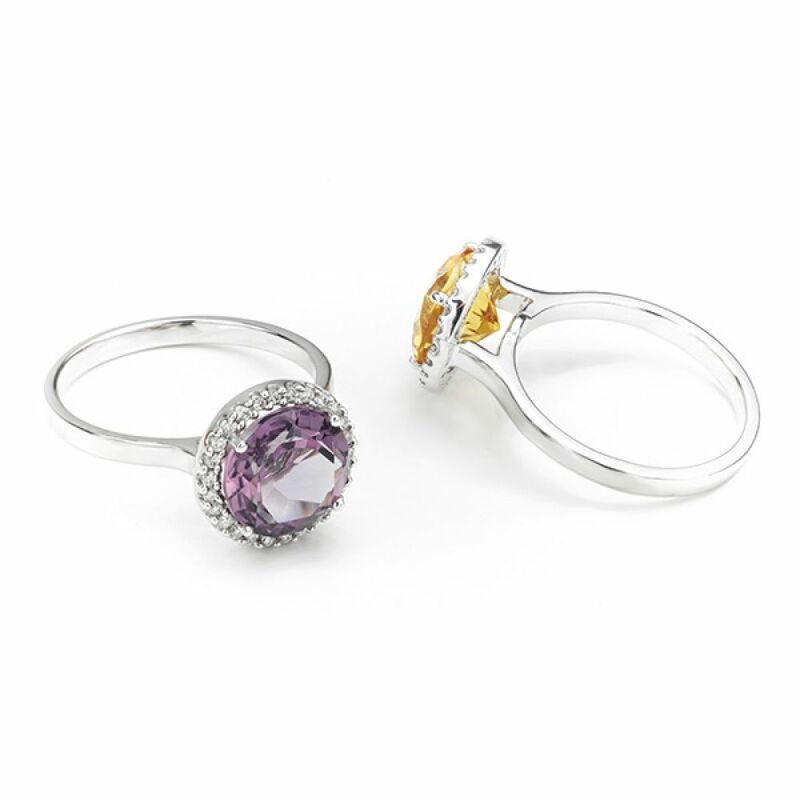 The ring design is well considered with a Wedding-Ring-friendly setting for convenience. The additional 0.13cts of Diamonds have been graded G Colour and SI1 Clarity before setting. Forming part of our ready-to-wear collection, this ring is ready made and can be sent without delay, crafted in 18ct White Gold, in UK finger size L.